Please visit the Numismatic sites below for additional information on coin collecting. 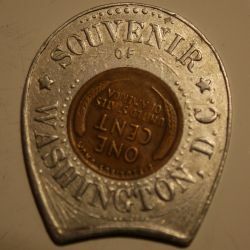 One type of encased that I collect are Washington D.C. encased pieces; the majority of which are souvenir pieces. 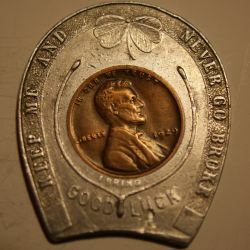 They usually have "Keep Me and Never Go Broke / I Bring Good Luck", on the obverse. 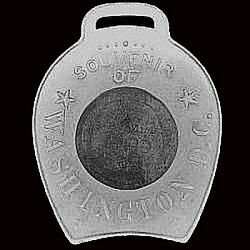 and "SOUVENIR OF WASHINGTON, D.C." on the reverse. Below are two pieces that I purchased recently on Ebay. 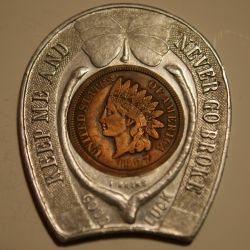 They are 22 years apart in age of the coins that are encased souvenir pieces from Washington, D.C.
1901 Indian Head Cent Encased "Souvenir of Washington, D.C."
1929 Wheat Cent "Souvenir of Washington, D.C. Note the differences in the two encasements. 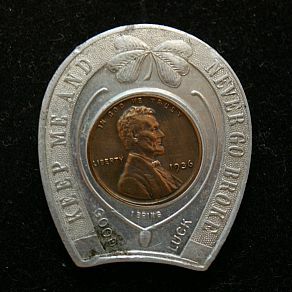 Fonts on obverse and reverse are different. 1929 has ellipses surrounding the cent while the 1907 has none. The scroll work in lower corners are different. So what does this mean? Well is could mean two different manufacturers. It could mean one manufacturer who up dated their dies. 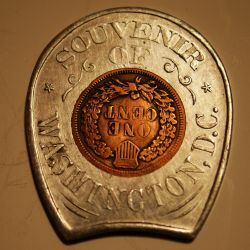 Not much is know about the manufacturers of these encased coins other than they have been sold as souvenir pieces in Washington, D.C. for close to one hundred years. I have pieces from as early as 1901 and as late as 1980. 1936 Washington, D.C. 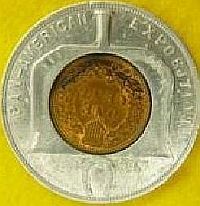 Souvenir encased cent. Below are a number of other Washington D.C. pieces. Notice the differences? 1910 Washington, D.C. 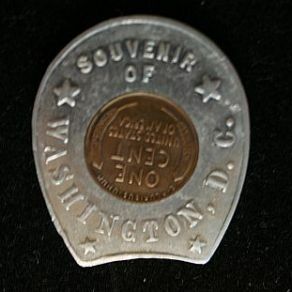 Souvenir Encased Cent. Note the placement of the hole. Is it original or added later? 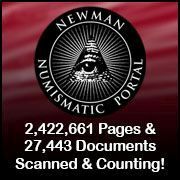 The Newman Numismatic Portal (NNP) has the largest online searchable collection of numismatic literature, periodicals and auction catalogs.